SAN BENITO — President Donald Trump’s proposed budget cuts would slash millions of dollars that have helped the Rio Grande Valley’s low-income residents. 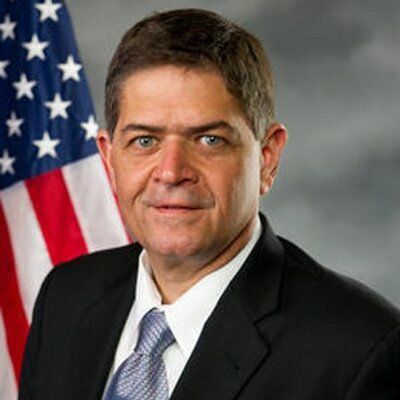 At least that’s what U.S. Rep. Filemon Vela, D-Brownsville, said yesterday as he rallied Valley leaders at a press conference, focusing on “Trumpcare” and warning of deep federal government cuts. “If Trumpcare passes, we go miles backwards to the dark ages,” Manny Vela, chief executive officer of Valley Baptist Health System, told the audience at the Cameron County Annex Building. “Trumpcare” threatens to cut as much as $1 trillion in Medicaid, leading 23 million Americans to lose their insurance coverage within 10 years, Manny Vela said. “People will die by not having access to health insurance,” he said. Proponents of the GOP American Health Care Act say they are trying to fix a flawed Obamacare that is now falling apart. Cameron County Judge Eddie Treviño stepped to the podium and urged residents to call their representatives to try to stop Trump’s proposed budget from passing. “We’ve got to make sure this proposed budget is dead on arrival,” Treviño said. Treviño said the proposed budget would cut the U.S. Housing and Urban Development’s Community Development Block Grant program, which helps fund affordable housing, anti-poverty programs and infrastructure development. The White House budget calls for major cuts to entitlements and government spending proponents say are unsustainable. They also say it is a tax reform focused on taxpayers and will create more growth and prosperity in the long run. But local leaders aren’t seeing it that way and they stepped to the podium one after another yesterday to talk about it. The proposed budget threatens to cut federal TIGER Grant money, which helps fund the Brownsville Metro transportation system and the Port of Brownsville. In 2011, TIGER money funded dock construction that helped the port better compete within the industry, Port Director Eddie Campirano said. Dr. Elena Marin, chief executive officer for Su Clinica Familiar, warned the proposed budget threatens deep cuts in Medicaid that helps sustain the clinic for low-income residents. Paula Gomez, chief executive officer for the Brownsville Community Health Center, also said the proposed budget would cut Community Development Block Grant money. “We’re going to have trouble keeping our patients at a good level so they can contribute to the community,” Gomez said. The proposed budget threatens to cut funding used to build homes for low-income residents, said Nick Mitchell-Bennett, executive director of the Community Development Corporation of Brownsville. Cuts could slash Community Development Block Grant money used to bring water and street improvements to colonias, Mitchell-Bennett said. “Cutting this would be devastating,” he said. The proposed budget threatens cuts at NINOS Head Start, which offers services to thousands of low-income children, official Joey Carrizales said. Meanwhile, cuts would eliminate some programs helping elderly residents, said Jamie Longoria, executive director of the Hidalgo County Community Service Agency. Longoria said cuts would also eliminate programs that help low-income residents pay their utility bills. Proposed budget cuts would slash services to veterans, many of whom would lose their homes or be forced out of nursing homes, said Felix Rodriguez, Hidalgo County’s veteran service officer. “We earned these benefits with our blood, sweat and tears,” Rodriguez said. Casey Clipson, owner of CropGuard Group, said budget cuts would eliminate financing for 40 percent of area farmers.